About The Summit. 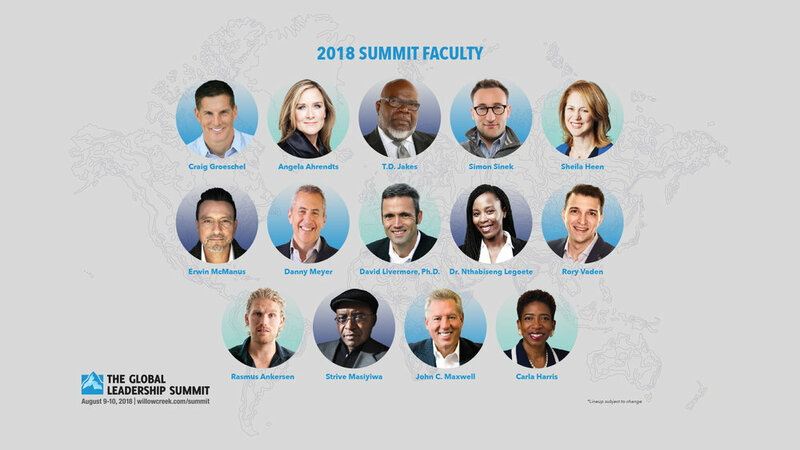 The Global Leadership Summit is a two-day, world-class leadership training telecast LIVE in HD from Willow Creek’s campus near Chicago every August to hundreds of locations in North America. This year, Fellowship of the Rockies will be a Host Site, joining an expected 400,000 total leaders for this event! Throughout the fall, Summit events take place at an additional 600+ sites in 128 countries and 60 languages. You can sign up up till August 8th. Whether at church, school, business or home, you are leading people and projects every day. You're leading in a culture that is constantly changing and redefining itself. Leadership takes perseverance, dedication and a commitment to stretch your mind, expand your heart and use your God-given gifts to impact your world in real and powerful ways. On August 9-10, 2018 you're invited to gather with thousands of leaders across North America for The Global Leadership Summit. Commit now to be a part of this annual event designed to stretch and challenge you with world-class speakers, interactive dialogue and practical training. We are pleased to host The Global Leadership Summit 2018.